At JD Dental Care we are committed to providing you with the highest standard of personalised and comprehensive dental care in a gentle and friendly manner. Our experienced Dentists offer all aspects of general, restorative and cosmetic dentistry in a relaxing and friendly environment. We are proud to have long lasting relationships with our patients based upon mutual trust and open communication. Well- informed patients make better decisions about their health and general well- being. Our dental practice is conveniently located at the top end of Collins Street and only 200 meters from Parliament station in Melbourne CBD, easily accessible to all city residents and employees. For your convenience, we are a dental practice that accepts any private health fund coverage and process your claim immediately on site through HICAPS. Let us help you achieve optimal oral health and that desired smile. We are confident you will find a relaxing atmosphere and caring staff at our dental practice in the best location of Collins St, Melbourne. 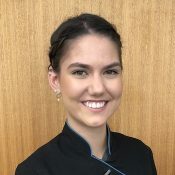 Dr. Jessica completed her Bachelor of Dental Science in 2009 and is accredited by the Australian Dental Council and a member of the Australian Dental Association. She has worked in various private and public practices and has experience in all aspects of General Dentistry. She is professional, gentle and believes in providing the best care and empowering patients to manage their own oral health care. 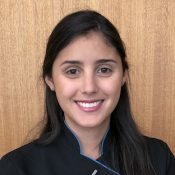 Jessica regularly attends Continuing Professional Education seminars and courses, making certain her skills are up to date. Outside Dentistry she loves dancing and going to the movies. She is fluent in Spanish. 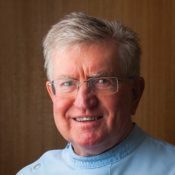 Dr. Peter Glynn BDSc, LDS is a graduate of Melbourne University and has practiced in Collins St. all his professional life. He is a member of the Australian Dental Association and keeps his skills up to date with professional development through ongoing courses, seminars and lectures. With wide experience, Peter enjoys providing a full range of dental services including aesthetic and restorative dentistry, endodontics, prosthodontics and implant dentistry. In his spare time Peter enjoys tennis, golf and long distance walking. 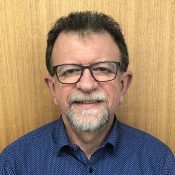 Dr. Teodoro Karpyn is a qualified Dentist and Dental Prosthetist and is accredited by the Australian Dental Council, member of the Australian Dental Association and Australian Dental Prosthetist Association. Teo successfully owned a dental surgery in Venezuela (country of origin) where he worked as a dentist practicing all areas of General Dentistry for more than 20 years. He also worked as a Prosthetist for over 4 years, applying his extensive clinical experience in the prosthetics area creating functional and aesthetic dental removable appliances. This father of four believes that family and friends are the most important thing in the world. He loves cooking, entertaining and sharing recipes with his love ones. He is fluent in Spanish. Janie is a Dental Assistant in training, studying at RMIT Royal Dental hospital in Melbourne. She is very enthusiastic about learning different aspects of Dentistry and caring for our patients. In her spare time she enjoys Art, Football and UFC. She is hoping to complete her course, and continue working/studying in the field of dentistry. Janie is a Dental Assistant in training, studying at RMIT Royal Dental hospital in Melbourne. She is very enthusiastic about learning different aspects of Dentistry and caring for our patients. In her spare time she enjoys Art, Football and UFC. She is hoping to complete her course, and continue working/studying in the field of dentistry. 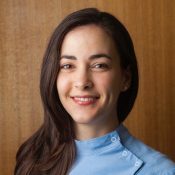 Gaby has an extensive knowledge and experience in the area of Dentistry. Her caring nature and skills will help anxious patients to feel relaxed and have a good experience at the dentist. She loves working with children and make their dental care enjoyable. Gaby is fluent in Spanish. In her free time, she enjoys baking, reading and walking. Her goal is to make patients feel at home and comfortable in every visit.